We have a variety of beautiful beaches here in the North West corner of the island. On this page you can find out about the more popular beaches and what activities they are best used for. Always remember that conditions can vary- use caution and observe the waves and currents. Notice what other swimmers are doing to help you get a feel for the conditions. Learn how to identify and escape from a rip current. It is recommended to snorkel in the mornings before the wind becomes stronger. Shack’s Beach: This beach is also known as Blue Hole beach. Here you will find some of the best snorkeling around. This beach is protected by a line of reef that protrudes from the surface of the water. It is a great beach for swimming, snorkeling and scuba diving. Shack's is also famous for kite boarding and surfing in the winter months. The surf break is located just to the west of the main swimming area. 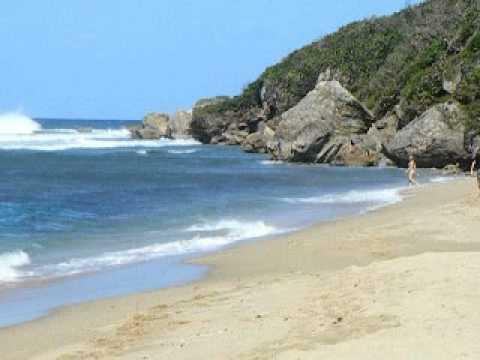 Jobos Beach: Jobos is one of the most popular local beaches. It is famous for surfing and is suitable for all skill levels. Larger waves break on the outside of the protective rock outcropping, while smaller waves break on a sandbar closer to the beach (a perfect spot for first time surfers). This beach is mostly sandy bottom and the water is usually calm and clear close to the beach. Be aware that there is known to be a rip current here even on calmer days. There are several bars and restaurants along this beach, as well as a surf shop. There is almost always someone there to give surf lessons or to rent surfboards and beach equipment. Middles Beach: Best known for surfing, and the location of many surfing competitions throughout the year. Not suitable for swimming, although there are several beautiful tide pools along theses beaches that are great for soaking in, and it is great for beach combing. 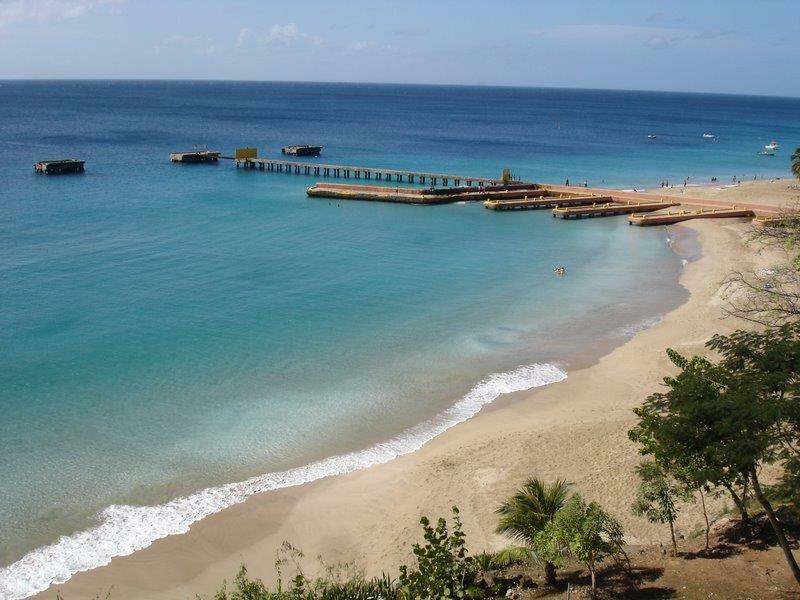 Crashboat Beach: Crashboat is ranked as one of the most beautiful beaches in Puerto Rico. It is famous for its colorful fishing boats which are driven up onto the sand. It is a sandy beach and is almost always calm enough for swimming, which makes it a good choice during the winter and on rougher days. There is an old pier that you can walk out onto and jump into the water. The snorkeling is very good underneath the pier as coral has grown up the legs and there are schools of colorful fish everywhere. There are also vendors of food and drinks, rentals of beach toys, paddleboards, jet skis and banana boat rides on weekends. The fisherman’s association is located here and you can buy fresh fish to take home and cook for very reasonable prices. This beach gets very crowded on weekends, but is more low key during week days. 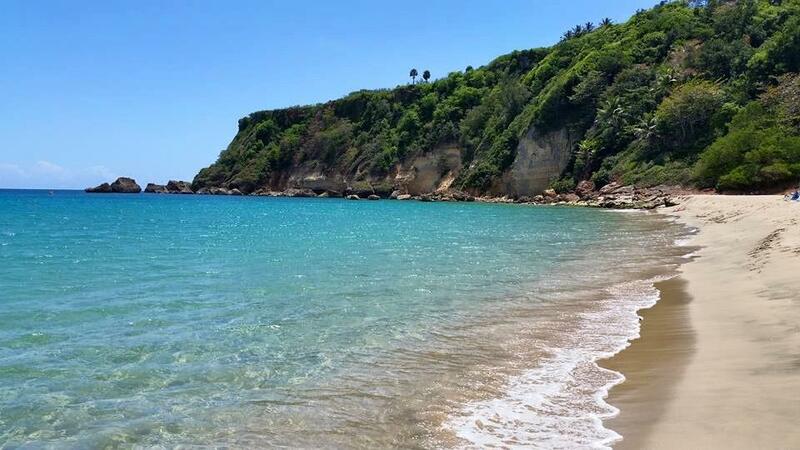 Borinquen Beach, Ruins, and Wilderness Beach: These are beautiful beaches but are often not suitable for swimming. 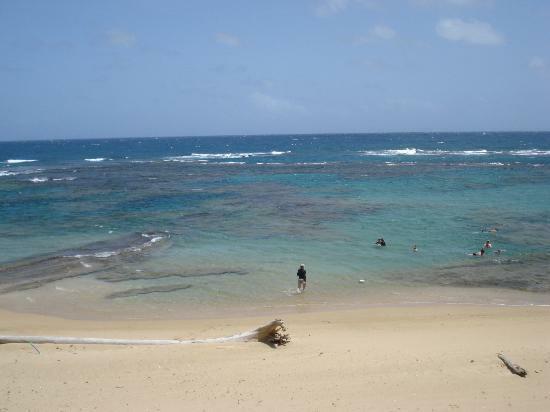 On calm days (mostly in the summer) Borinquen and Ruins are suitable for swimming, but Wilderness is mostly only a surfing beach. 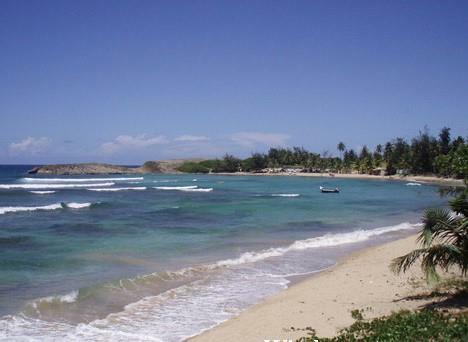 Borinquen is a large sandy beach and when it is calm it is absolutely beautiful. You can snorkel along the cliff where you will see large rock formations, and some shallow caves. Look closely beneath the water and you can see old airplane engines that are covered in coral. Ruins is so named because of the ruins of an old Spanish lighthouse by the beach (great for a photo session). 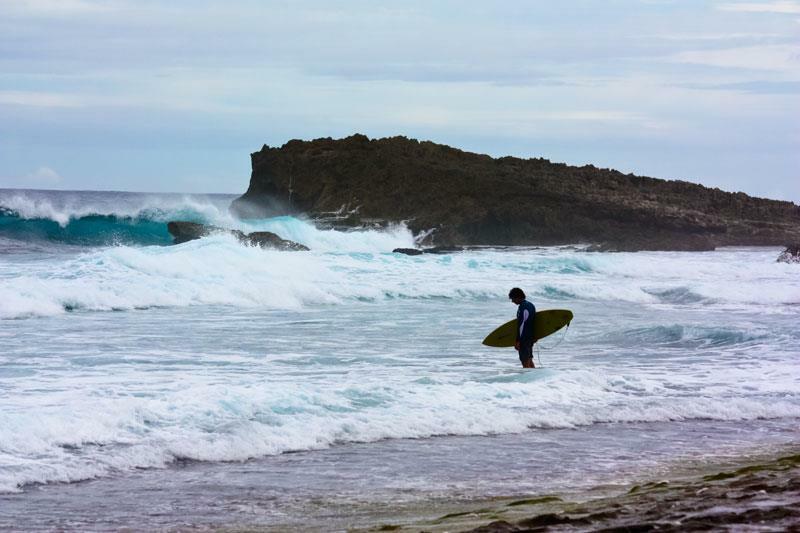 Wilderness is one of the most popular surfing beaches in the area. Surfer’s Beach: As the name implies, this beach is a surfing beach. It is beautiful and on calm days in the summer, could be swim-able. It’s a great beach for more advanced surfers, though on smaller days could be suitable for beginners as well. There is also a hiking trail that runs into the woods on the northern end of the beach. This is a beautiful hike with nice views of the water and rock formations below. It connects to Survival beach eventually. The hike is a little rough, wear good shoes and take water if you try it.